Welcome back to our weekly sale roundup, where after scouring the web, we compile the best of the best shopping deals. 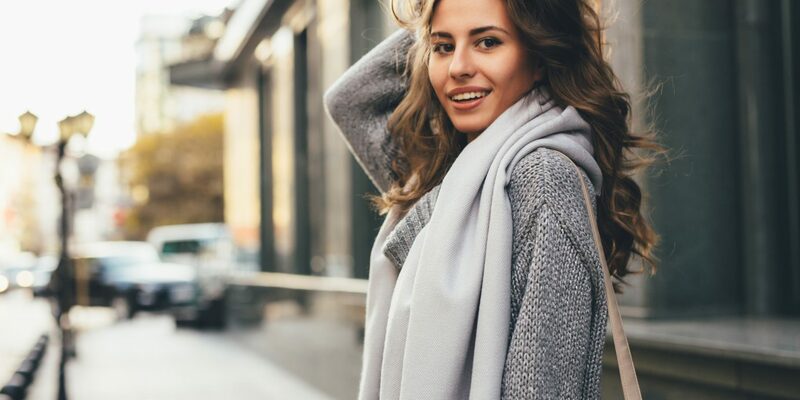 In this edition, we sought out sweaters and cardigans, from V-necks to turtlenecks, basics to wild prints, under $20 to over $400. 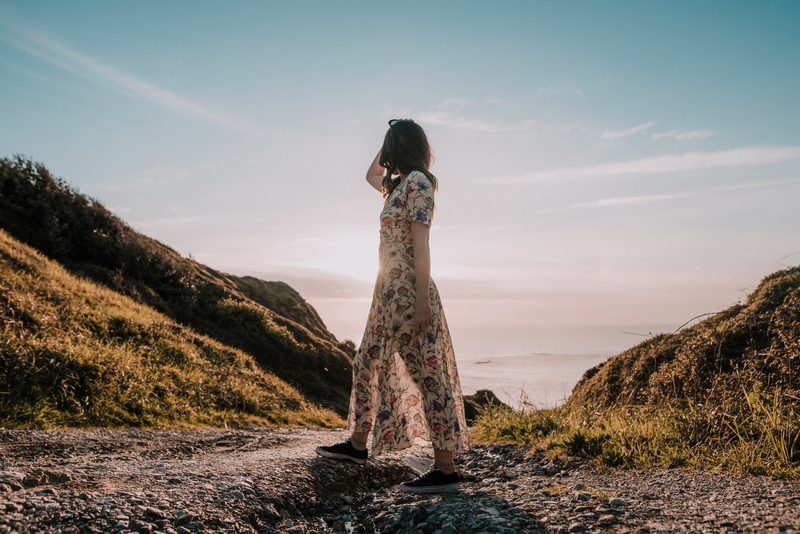 Shop our 15 favorite deals below. Channel your inner ballerina with this pretty-in-pink cashmere number from Everlane. With its drapey silhouette and feminine neckline, we can't wait to wear it for the rest of winter and all spring. 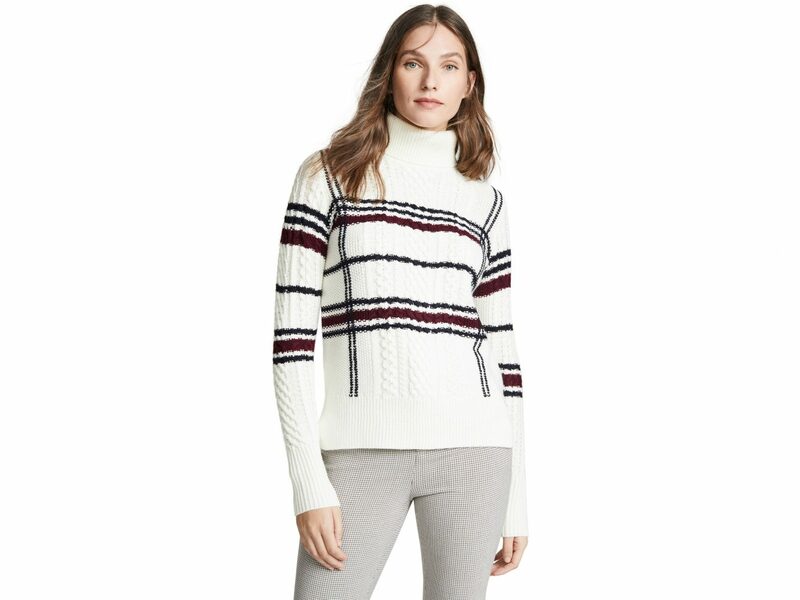 This merino wool-blend turtleneck, with its lightweight knit and sporty striped design, will quickly become a wardrobe staple. Tuck it into your favorite boyfriend jeans to achieve the perfect tomboy look. Up-and-coming, NYC-based designer Matthew Adams Dolan shows off his Americana aesthetic with this bold blue cable-knit, balanced by retro buttons and boyish dropped shoulders. 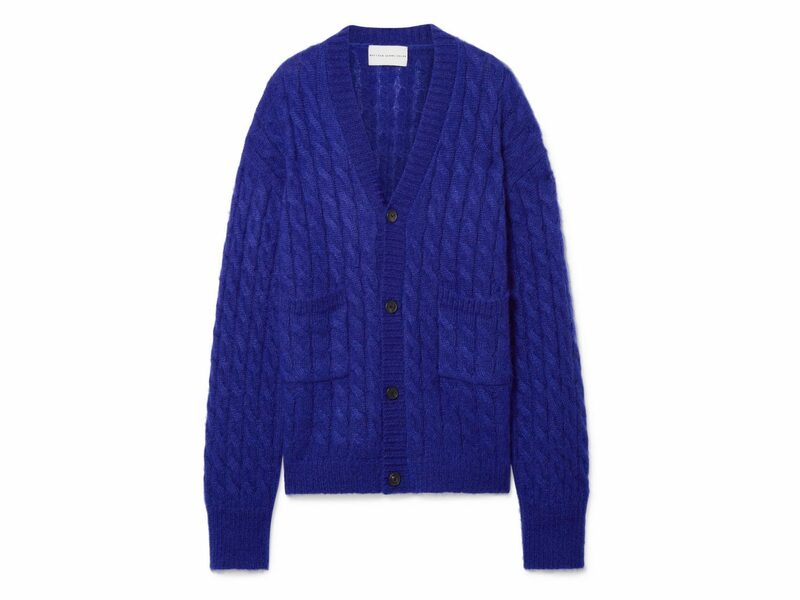 We adore the casual-cool vibe of the cardigan's oversized fit, too. 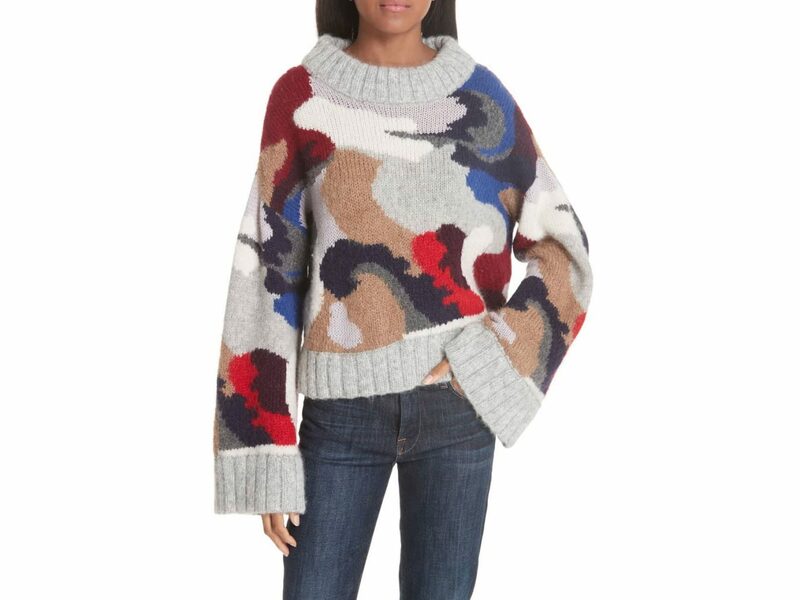 This chunky knit plays on the oversized sleeve trend that dominated last fall's runways. 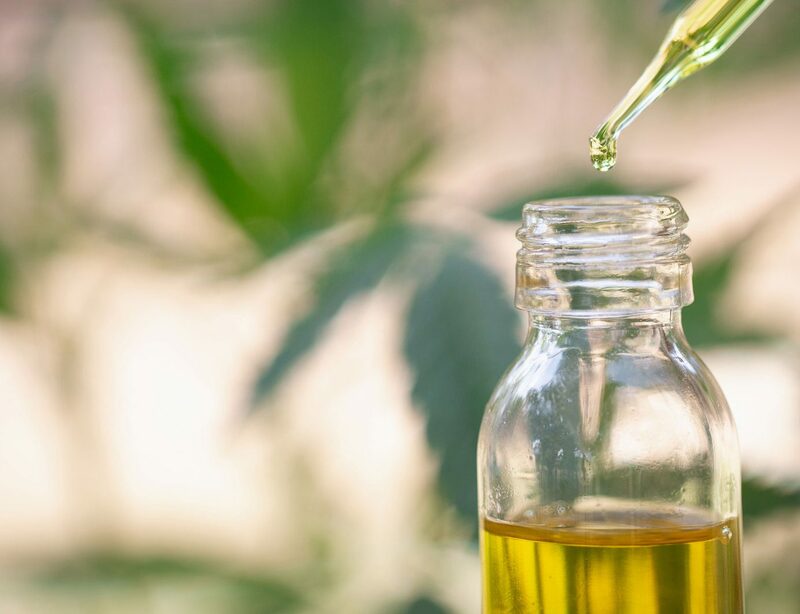 At this affordable price, we're definitely game to try it out. 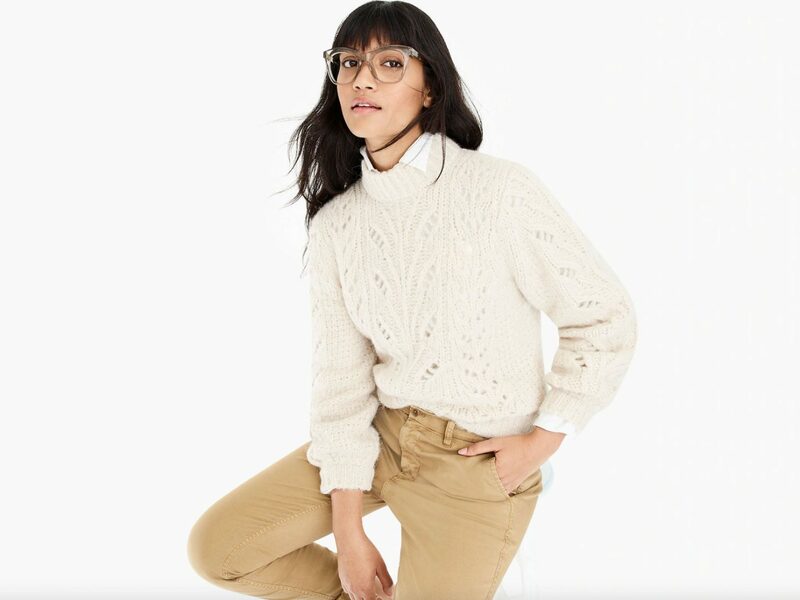 A cream-colored wool sweater is a wardrobe essential in our books—it goes with pretty much anything and can be dressed up or down. This one puts a spin on the staple by adding an interesting folded-cuff sleeve detail. This preppy plaid pullover is just the right amount of warm and cozy for the dwindling days of winter, and then you can bring it back out as soon as the leaves start to fall again. This turtleneck screams winter wonderland with its soft blue color and pretty metallic finish. 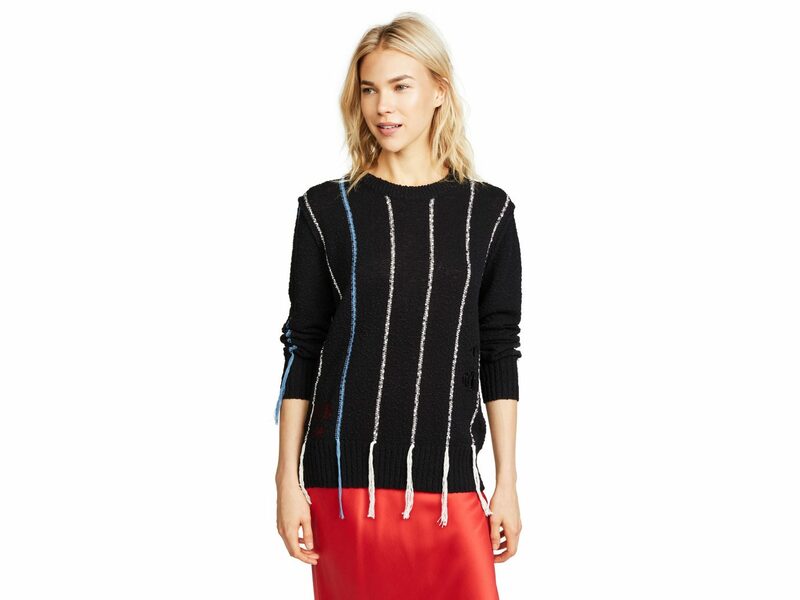 Plus, it's an extra 50% off in the cart (only $39.98!!). 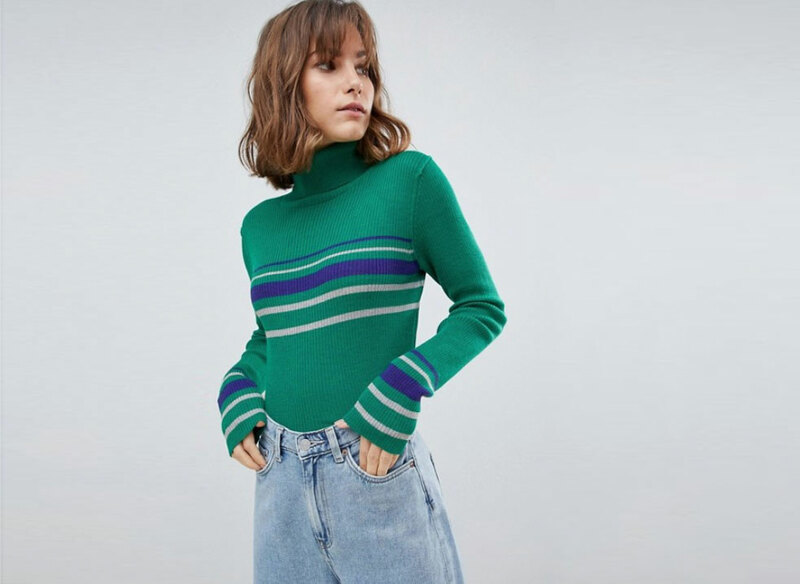 The cropped fit of this crewneck from J.Crew's Point Sur line (that's the L.A.-inspired cool collection) is ultra-flattering and on-trend. Best of all, the store is offering a whopping extra 70% off (with code: GOFORIT), bringing the price down to just $36. This '90s-inspired, lightweight cardigan makes for a cozy layering piece—or even stylish loungewear—with its textured waffle knit and slouchy fit. Ready for something a little funkier? Ditch the solids and prints in favor of tassels, which add texture, trendiness, and a dose of whimsy. It's clear that leopard print reigns as one of the most popular trends this fall and winter—just look around. Hop on the bandwagon while standing out from the crowd with this smoky grey embroidered version. 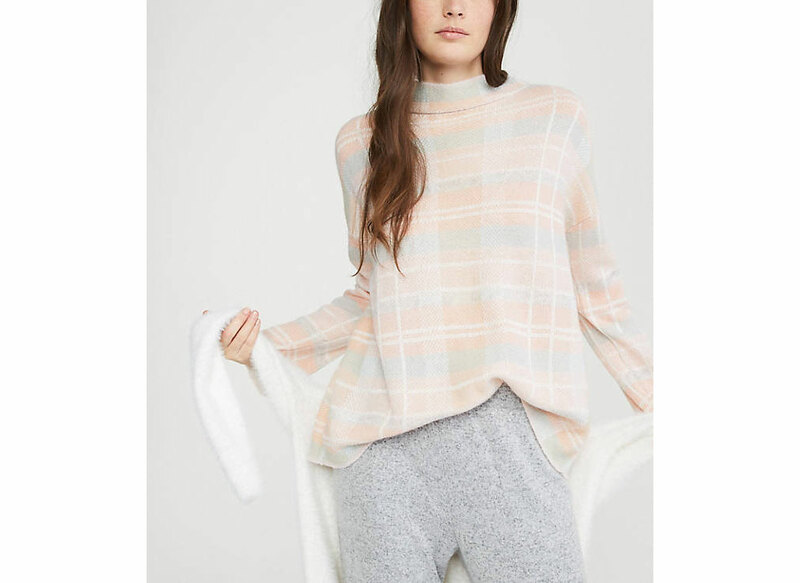 We love Lou & Grey for its super-soft fabrics, and this pastel plaid number just adds to our obsession. 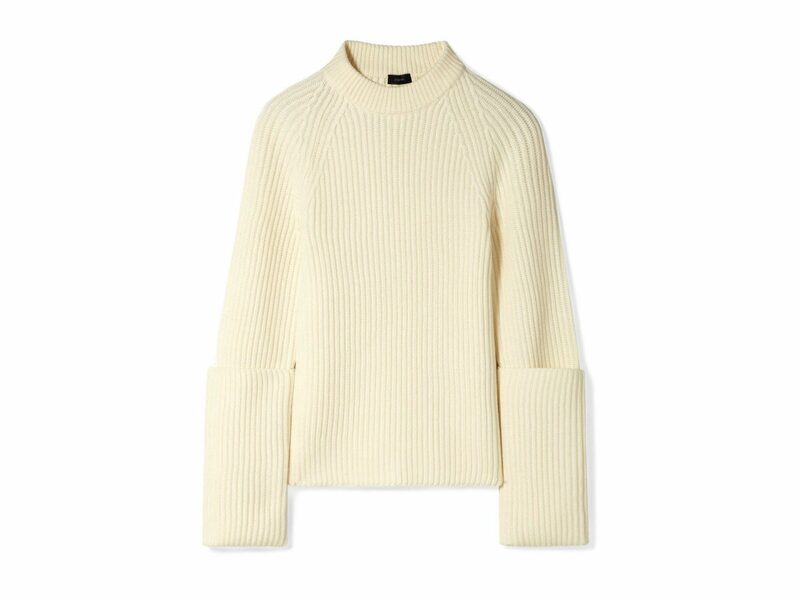 Plus, the mock neck is totally on-trend. Looking for a bargain? 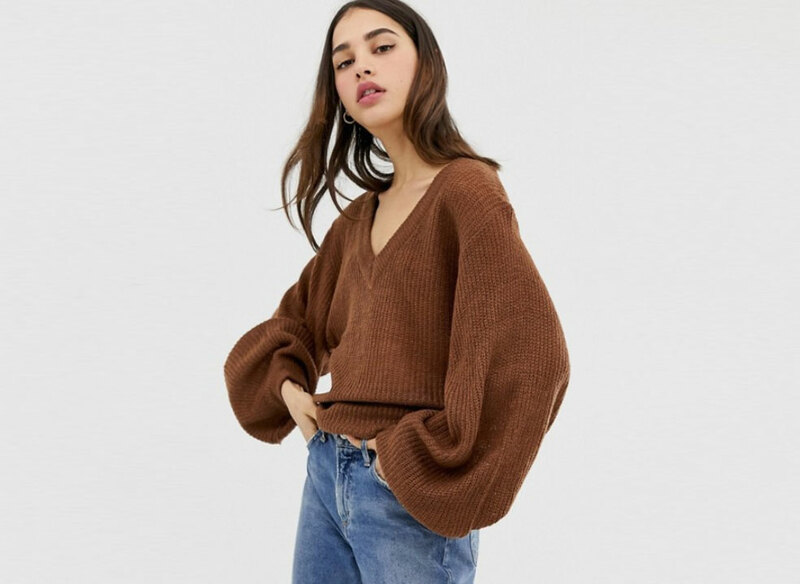 From H&M's Conscious collection, this knit sweater is soft, stylish, and eco-friendly with its partially-recycled materials—all at only $14.99. This sweater may be on the expensive side, but hear us out: it's handmade by female artisans in Peru, made with the softest yarn, and unquestionably stylish. It'll be a piece that stays at the front of your wardrobe for a long, long time. 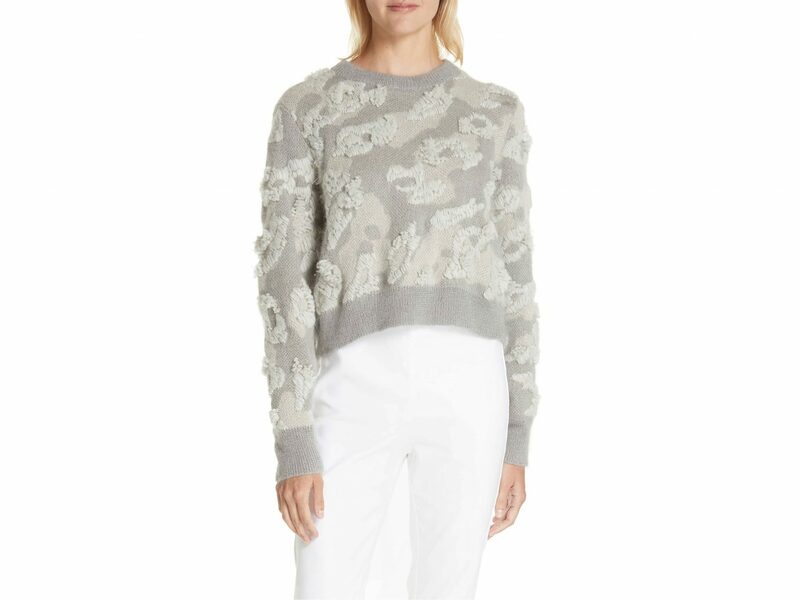 We're all about the playful pom poms that dot this knit pullover sweater from Farrow.